Ireland host the All Blacks in the autumn internationals 2018 in a massive rugby showdown at the Aviva Stadium, where you can experience official IRFU Ireland v New Zealand hospitality packages, VIP tickets or a private box. Ireland are set to host World Champions New Zealand at the Aviva Stadium in the autumn internationals 2018. This massive match will be the headline fixture in the Guinness Series 2018 and will be a key opportunity for Ireland to test themselves against the number 1 ranked side ahead of the Rugby World Cup 2019. Anytime the All Blacks feature as part of the autumn internationals is a spectacular occasion, but with the Rugby World Cup in Japan creeping ever closer, there will be added spice to this top tier showdown at the Aviva Stadium. For fans unable to make the trip over to Japan in 2019, the visit of the formidable All Blacks to the Aviva Stadium will serve as a worthy substitute. Despite New Zealand winning the last meeting between these two rugby heavyweights in Dublin, Irish supporters will be roaring the home side on to what they hope will be a repeat of the famous 40 – 29 victory in Chicago. Experience the electric atmosphere at the Aviva Stadium and savour exclusive rugby hospitality for this key autumn international fixture by welcoming your guests for an unforgettable day with official IRFU Ireland v New Zealand hospitality packages, VIP tickets or a private box at the Aviva Stadium. The Official IRFU Hospitality Pavilion is a fantastic match day facility situated just a few minutes walk from the Aviva Stadium, offering rugby fans an outstanding match day experience. 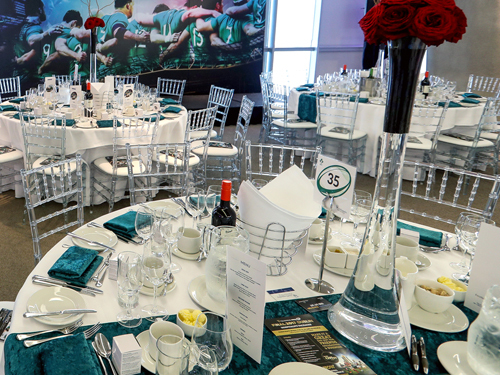 Providing all-inclusive rugby hospitality throughout the day, complete with excellent Aviva Stadium VIP tickets along the sidelines, the IRFU Pavilion is a superb place to host your day at each Ireland Rugby international. 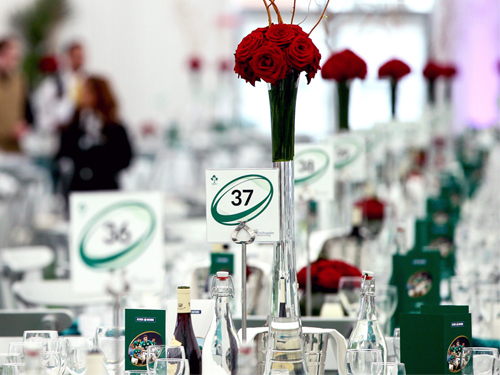 Private tables in the IRFU Hospitality Pavilion are available for groups of 10 or 12, with smaller groups seated on shared tables (subject to availability). The Havelock Restaurant is situated inside the Aviva Stadium and is a fantastic place to entertain guests in a spirited rugby atmosphere on match days. The glass front of this fabulous hospitality suite provides panoramic views of the stadium and the pitch; the perfect backdrop for your day. VIP seats located directly outside of Havelock Restaurant make it easy for guests to return for half time drinks without missing a minute of the action. 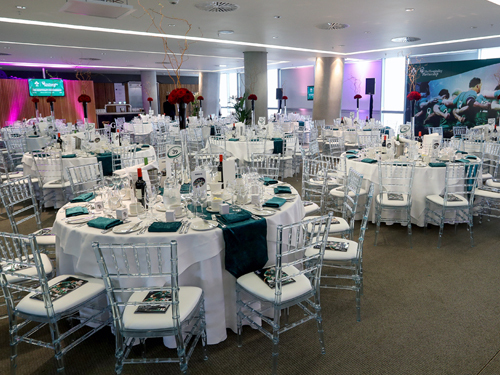 Join us for a sensational day of hospitality and entertainment at the heart of the venue on your next visit to the Aviva Stadium and never miss a minute of the action. Private tables in the Havelock Restaurant are available for groups of 8, 10, 12 and 18 guests (subject to availability), with smaller groups seated on shared tables. The Aviva Stadium's Vavasour Restaurant is among the most exclusive places to entertain guests during an Ireland Rugby international match day. 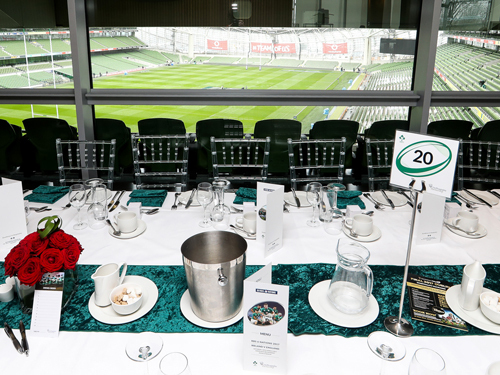 Situated on Level two of the Aviva Stadium, this glass-fronted hospitality restaurant provides guests with exceptional rugby corporate hospitality throughout the day, complete with great food and free-flowing drinks overlooking the famous Aviva Stadium pitch. Private tables in the Havelock Restaurant are available for groups of 10 guests (subject to availability). The ultimate form of Aviva Stadium hospitality is the Corporate Boxes at this iconic rugby venue. Each private box is glass fronted and offers staggering views of the stadium for the comfort of your very own exclusive retreat overlooking the pitch. Complete with adjoining balcony seats and superb views of the pitch, there is surely no finer way to experience an Ireland International fixture exclusively with your group. 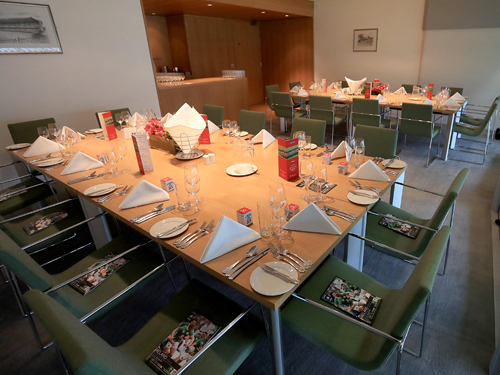 Aviva Stadium VIP Boxes are available for groups of 12 or 24 guests (subject to availability). 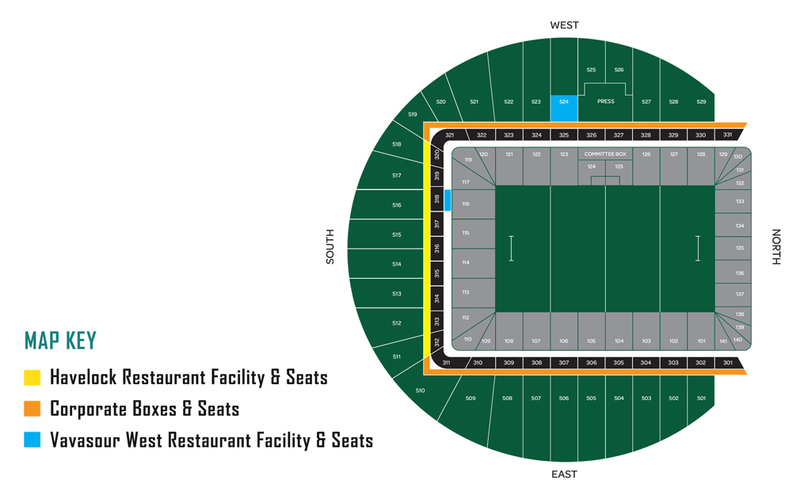 To book your places or for more information on official Ireland v All Blacks hospitality packages and private boxes at the Aviva Stadium, please send us your requirements below and a member of our expert team will get back to you as soon as possible with all the information. Cardiff is by far my favourite stadium and having now experienced the VIP treatment in the stadium restaurant I cannot wait to go again and again and again. Great fun had by all! Brilliant hospitality inside the Millennium Suite - I cannot speak highly enough of the staff, their attention to detail with the food and making sure our drinks were kept topped up was second to none. Our team of experienced event gurus have the expert knowledge to answer any questions and help you discover Ireland v New Zealand VIP tickets that perfectly suit your needs. If you've got any questions on how to book a rugby hospitality package, when your tickets will arrive or anything else, contact us 7 days a week for help with any queries. 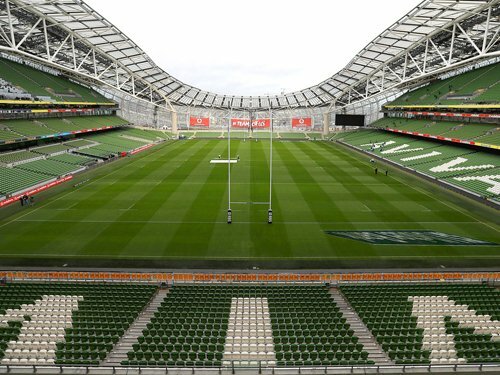 We pride ourselves on being registered to sell official IRFU hospitality tickets and corporate boxes at the Aviva Stadium, guaranteeing you peace of mind.